Making your work easier - that's how we run. More than 50 implements are ready and waiting for you to give them a spin. From backhoes to wheel rakes and every task in between, John Deere and Frontier commercial-grade implements not only do it all, they do it better and quicker. The time between starting up your tractor and getting work done is considerably shorter, thanks to John Deere iMatch™ AutoHitch, Quik-Park™ loadersand drive-over mower decks. Need the right tools for the job? Request a quote or stop in for a test drive today. *Offer valid on new 3025E Compact Tractor purchases made between 2/1/2017 and 5/1/2017. Subject to approved installment credit with John Deere Financial. Up to a 20% down payment may be required. Example: based on a purchase of $13,500 with $2,700 down payment, monthly payment of $129 at 0% APR for 84 months. Taxes, freight, set up and delivery charges could increase the monthly payment. Price and model availability vary by dealer. Valid only at participating US dealers. 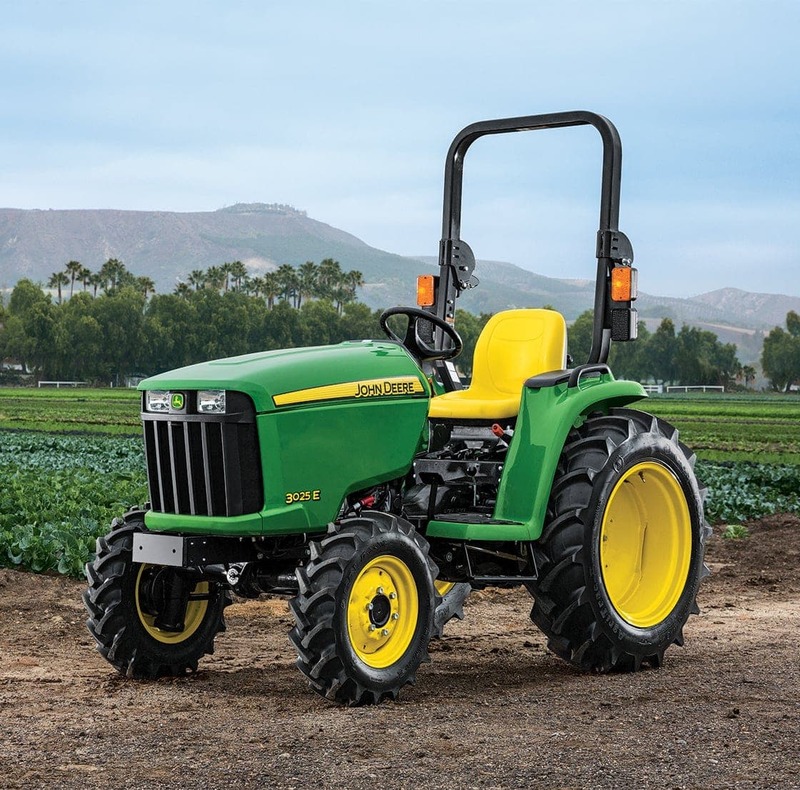 **Beginning 1/1/2016 all Compact Utility Tractors purchased new from an authorized John Deere Dealer come standard with a 6 year/2000 hour (whichever comes first) Powertrain Warranty. See the Limited Warranty for New John Deere Turf & Utility Equipment at dealer for details.